Send your ill friend a sincere get well soon greeting card that will help him or her get better using free DRPU Get well soon Greeting Cards Designer. 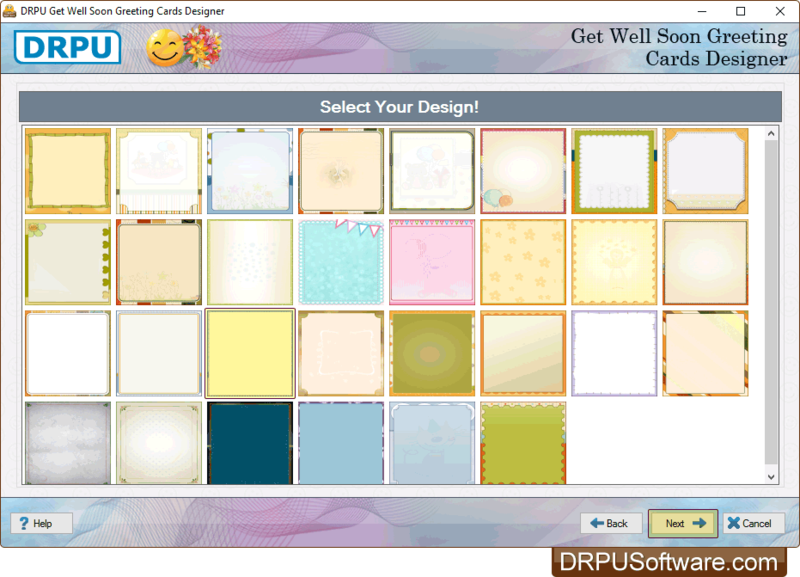 Get Well Soon Greeting Cards Designer is a freeware app that facilitates you to choose your Get well soon greeting card designs from pre-loaded or custom templates and designed greeting card via Email. You can design multiple greeting card at the same time with different images and text. 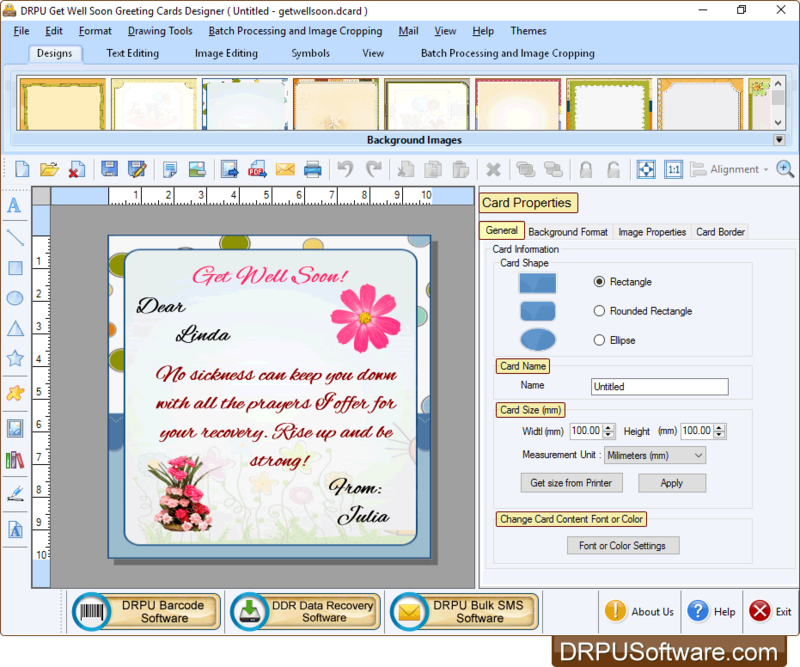 Easily save your designed greeting card in jpeg, jpg, png, bmp, pdf and other major file formats. "All Festivals Greeting Cards Maker" to Create FREE Greeting Cards for Any Other Special Occasion or Festival. E-mail Setting feature to send your designed Get well soon greeting cards to the specified email address. 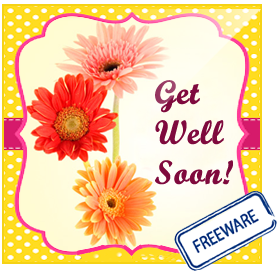 You can design multiple copies of Get well soon Card with different images and text value using Batch Processing Series feature. 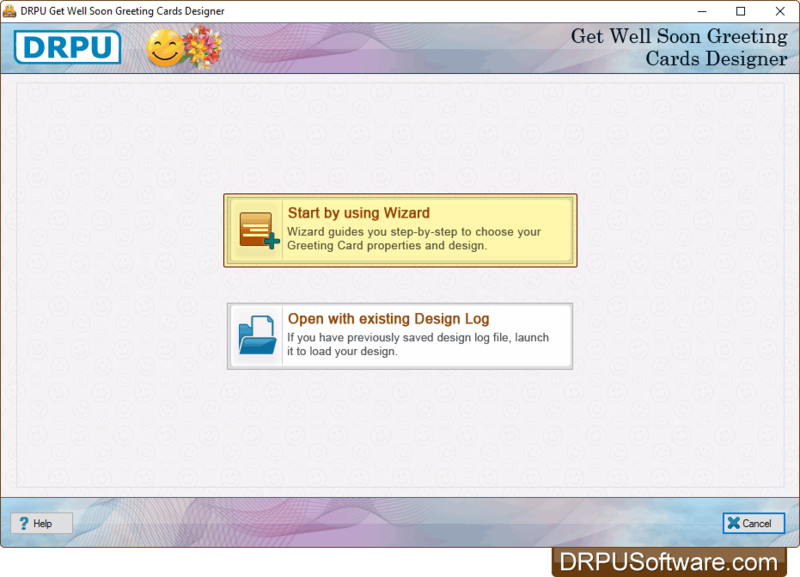 For designing Get well soon greeting cards, You can choose either 'Start by using Wizard' or 'Open with existing Design Log' option. Save your designed Get well soon cards in JPEG, TIFF, Bitmap, PNG, GIF, PDF and other file formats. Image Cropping Tool to crop images as per your requirements while designing Get well soon greeting cards. 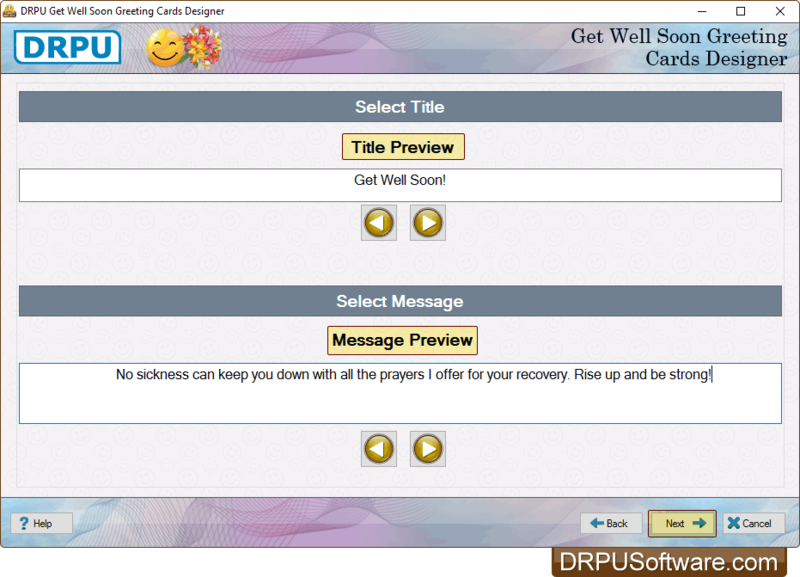 You can easily update Get Well Soon Greeting Card details using 'Update Details' button. Select any one option either 'Start by using Wizard' or 'Open with existing Design Log' for Get well soon greeting cards designing. Choose your Get well soon cards design sample according to your requirement. Select title and message for your Get well soon card. Now, go to the 'Next' button to proceed. Enter details of sender and recipient for your card. If you want to some changes in your card, You can use 'Card Properties'. 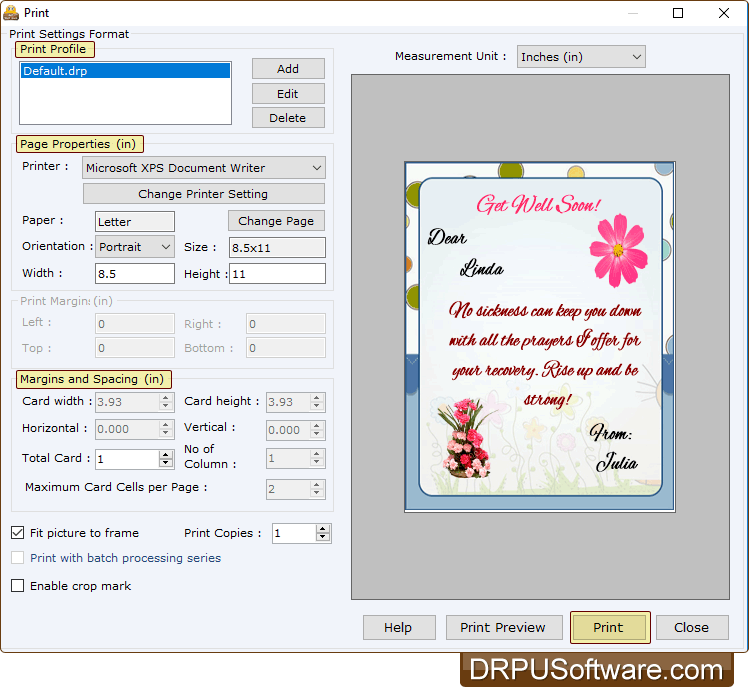 To print your designed Card, set all print settings and click on 'Print' button.